Channel 5 will be showing a documentary tonight (at 9pm, also available on demand) that will illuminate the consequences of out of control eastern european mass immigration that has resulted in literally a flood of migrants whose primary focus is NOT to work hard but to maximise benefits by moving whole villages lock stock and barrel to cities such as Birmingham, Sheffield and Rotherham which is the focus of today's C4 programme. "I know it's very, very easy to take benefit in England." "She's give me home free, yeah. She's give me money free... she's give me everything." "I'm gonna take benefits from England, yeah." "We didn't have flats like this in Slovakia." "We didn't have electricity or radiators." 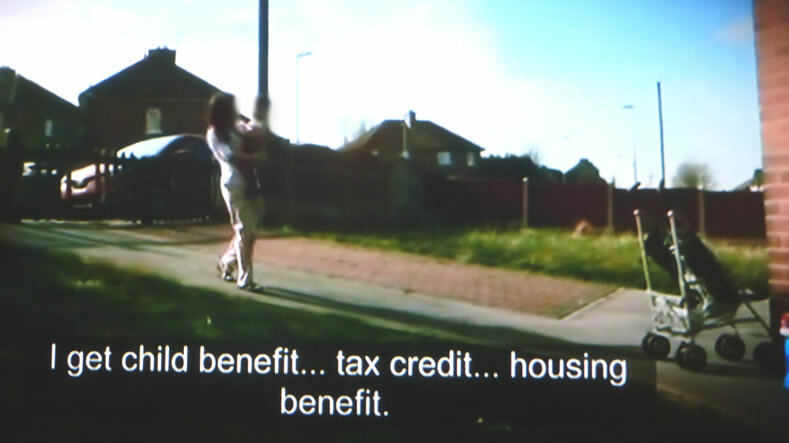 "I get child benefit... tax credit... housing benefit. I got better life here than my country. I'm never gonna go back to Slovakia... never." "We're going to protest against it, Us English"
"Yeah we are, it's going to kick off right innit, it's going to kick off right , I'll tell yer." This illustrates a continuing legacy of the last Labour government that sought to encourage a benefits culture and benefits immigration as 90% of whom will tend to vote Labour. And STILL the voters of the peoples republic of South Yorkshire tend to vote Labour! Off course the reason being because most of the people of South Yorkshire who whilst highly critical of Roma for claiming benefits are in fact themselves benefits for life cradle to grave scroungers! It is not often that left wing normally pro-immigration Labour MP's can be found to be warning of the consequences of mass immigration, and not just any old back bencher but the former Labour Home Secretary David Blunkett was recently widely reported in the mainstream media warning of the consequences of immigration in the form of the ongoing influx of Roma communities from eastern europe into his home city of Sheffield where the Roma population has soared from less one hundred 8 years ago to well over 4,000 today, concentrated in pockets of the city such as Page Hall, that he warns could spill over into violence on the streets due to the clash of cultures between the indigenous / settled communities and the huge Roma influx underway as Czech, Slovak and Romanian Roma villages are literally moving lock stock and barrel to places such as Sheffield to draw on 15-20 times the financial value of benefits and social services that they are in receipt of in the likes of Romania. Tensions between local people and Roma migrants could escalate into rioting unless action is taken to improve integration, David Blunkett has warned. The former home secretary fears a repeat of race riots that hit northern cities in 2001. His concerns centre on the Page Hall area of Sheffield, where Roma migrants have set up home. "We have got to change the behaviour and the culture of the incoming community, the Roma community, because there's going to be an explosion otherwise. We all know that." "If everything exploded, if things went really wrong, the community would obviously be devastated. We saw this in Bradford, Burnley and Oldham all those years ago when I first became home secretary. We saw that the community itself were the losers." He called on the Roma community in Page Hall to change aspects of their "behaviour", such as congregating on the streets on summer evenings and dumping litter, which he said was "aggravating" local people. It is highly ironic that whilst in power David Blunkett did nothing to avert the unfolding immigration catastrophe, but now in opposition he has become a highly vocal critic of the Coalition governments immigration policies despite the fact that the immigration catastrophe is a direct consequence of the last catastrophic Labour government. But now David Blunkett has the urge to protect the people of his home city of Sheffield lest they in disgust vote him out at the next general election for mass immigration has always been a Labour tactic to retain power in cities such as Sheffield, for instance mass immigration enabled Labour to size power back from the Liberal Democrats in 2011 as over 90% of immigrants tend to vote Labour as the traditional party of immigration. 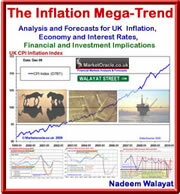 In fact mass immigration of the 2000's was a Labour government conspiracy that attempted to hide from the people of Britain their plan for the wholesale importation of new Labour voters to bolster their election winning chances, the result was that even an economy in a state of economic collapse failed to secure the Conservatives an election victory in 2010. 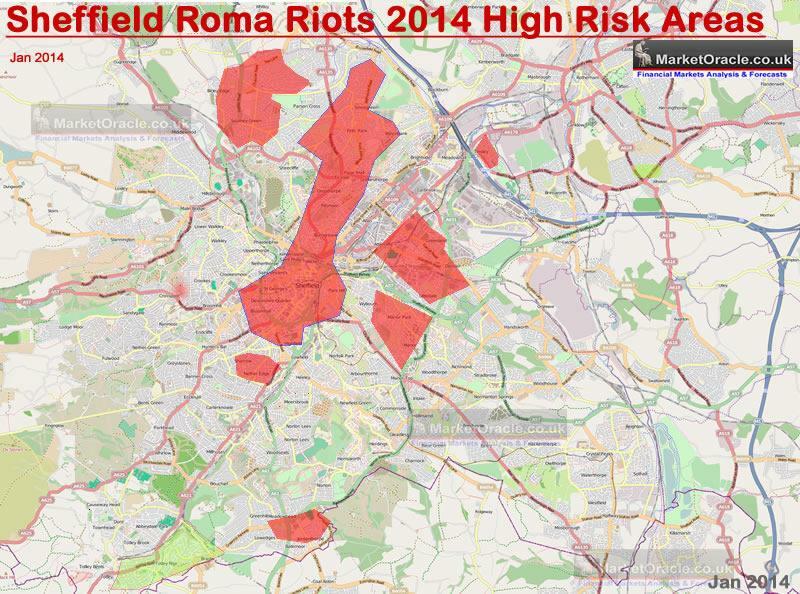 Where Sheffield is concerned the following map highlights the possible high risk riot hot spots as a consequence of out of control immigration and the cultural catastrophe that could reach its ultimate consequences during the Summer of 2014. The programme showed what a disgrace this country is in. The guy admits coming here to get everything free and that he is stealing. Something needs to be done…it’s an absolute disgrace. I’m disgusted!! Foreign immigrants should only be entitled to benefits on the tax they have paid into the country. Therefore no tax paid in, no benefits paid out! Our weak government makes me sick. Stand up for Britain and spend tax payers money on the British - or at least fix the pot holes in the roads, don't just give it away ! Peter, who has not had a job for two years says: 'my country, I no had a job, no food, nothing. No going back, never. Thank you so much England. '- Well, Peter, I think I speak for the majority of the UK when I say YOU ARE NOT WELCOME. You are a parasite. I wish the money that I work extremely hard for DID NOT to go to you. You represent everything I HATE about the UK! this program made my blood boil. why do i bother going to work? and i think brown and blair should be hung drawn and quartered for treason to i'ts british hard working people. All these idiotic politicians needed to do was to implement some simple rules to prevent benefit tourism etc. Now they have created a catastrophe and only when it all blows sky high will the penny drop, way too late. Well done public school idiots. What the programme didn't mention was the impact this large influx of people have on the local schools and health services. I live in Page Hall and we have hundreds of Slovak Roma who are living in cramped houses, filthy conditions, rubbish on the streets, spreading diseases like TB and Hepatitis. They receive thousands of pounds in backdated benefits. They have overwhelmed the areas schools and GP surgeries. They are not to blame for this though. They are breaking no laws. Channel 5 told the truth. 13 Apr 14, 02:35 Whos the fool? I have never felt compelled to write or complain about any subject I have witnessed to date. I am a 47 year old female born and raised in Cornwall. 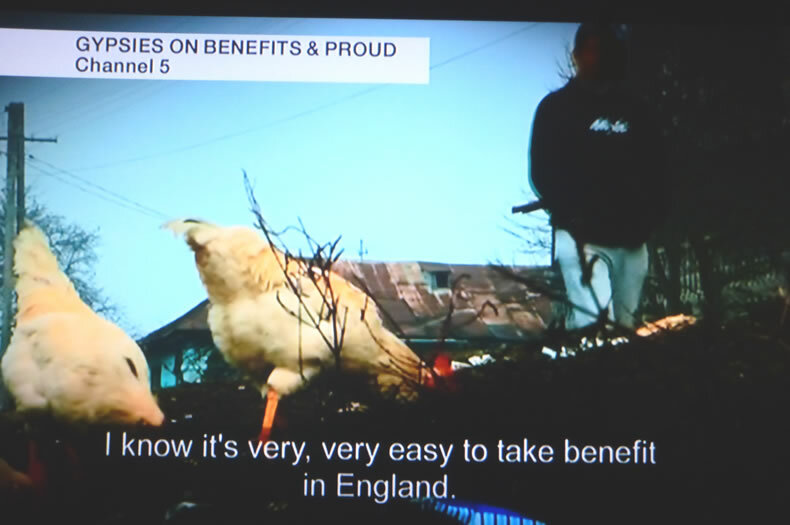 I have just watched, Gypsies claiming benefits and proud. I have never been so shocked and appalled at the blatant abuse of the British benefits system! Most people in the UK are hard working people who only want to work for a better standard of living. Whilst I recognise that some British people will claim benefits and not try to work, I would question the number who would do this in another Counry. I have know people who have paid into our country, paying tax and NHS contributions for 30 or forty years and have never claimed a penny back. What have these people given to our Country. Why should these people be allowed to so blatantly take something they have given nothing into? And I beg the question, why are we allowing people into this Country who clearly state that they will steal if they cannot get the money they need?Maybe I should give up my full time job and take a leaf out of there books. Whos the fool?